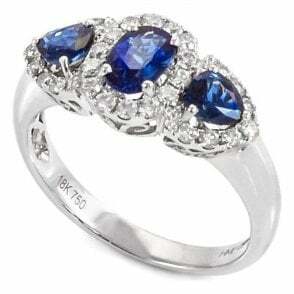 Fancy clover style Sapphire and Diamond cluster in an 18 carat white gold mount with a plain shank. 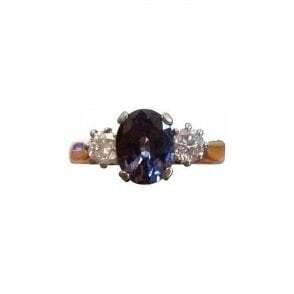 5 Sapphires total weight 0.38 carat. Double surround of Diamonds, weight 0.23 carat.